Our class is a blend of various cultures as all of us have come from different parts of our country. We are from different graduation backgrounds. 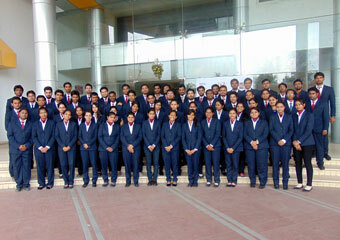 But now we all are pursuing MBA degree from the renowned GBSRC. The reception we got right from our admission till date has really been satisfying. During the induction programme, we were nervous, as we were about to meet new people but this nervousness was short lived. As soon as we interacted with our professors, director, other staff members and of course with each other, each one of us was convinced that we had made the right decision. While the induction programme was on, we got to listen to many renowned personalities. Their inspiring words instilled confidence within us. We undergo wholesome development with various forum activities, organize events and participate in various extra- curricular activities. The content of our syllabus is practical oriented. Our MBA programme is loaded with presentations, seminars, practicals, industrial visits and course sessions which enable bridging the gap between theory and practice. We must mention here that our faculty members are highly qualified and experienced. The students of GBSRC get exposure to the real business environment through various guest lectures, panel discussions, seminars that are addressed by experts from the industry.We can surely say that whatever time we have spent here in GBSRC has been wonderful. 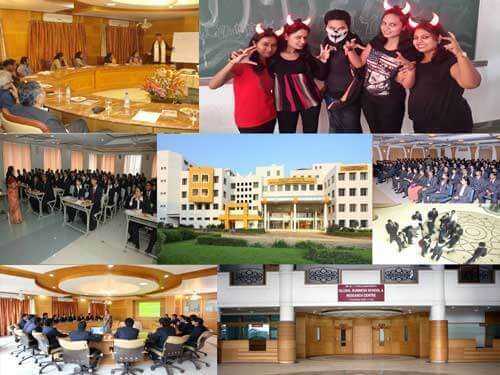 We really feel proud to be a part of GBSRC. As your seniors, we all wholeheartedly welcome you to this wonderful institute. We are sure that the time you spend here will prove to be extremely valuable which you will cherish for your entire personal and professional lives. We look forward to welcome you and share our amazing experiences.